The Willingness to Release Weight sounds are an integral part of The Perfect Body for You Program. This program uses a series of the Sounds from Source CD’s and mp3’s with additional sounds specifically created to assist you to re-sculpt your body. The Accepting and Allowing the Perfect Body for You sounds deal with the underlying issues of why we do not allow ourselves to achieve our desired shape and size. Often these underlying influences sabotage our efforts with out us even being aware of it. The Willingness to Release Weight sounds have been designed to assist you to create YOUR Perfect Body for YOU. A good deal of the work I have done for many years has been with reincarnation issues or past lives as they are often referred to. A conversation some time ago led me to look at what can be described as “lives’ in the church’, for example if you have been a priest or a num in many of your lives, then you may be still working from those vows of poverty chastity humility ad obedience that you would likely have taken at those times. These can influence our views of ourselves, a woman from a religious order would not want to be seen as attractive or desirable for instance, as it would go against all of the beliefs and agreements she had made. I refer to these memories as Chakra Memory, being the sum total of every life we have ever lived, and I believe that Chakra Memory comes in at conception and has a bigger effect on us than that of our whole genetic ancestral line. 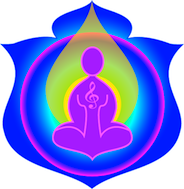 Many of the Sounds from Source programs are created to deal with Chakra Memory as well as Genetic Ancestral Memory. Comment from Susan -This was another very necessary sound for the Perfect Body For You Program and it is advised that you play it daily. I also play this sound to assist with releasing emotional baggage as discussed earlier.